Genuine GM Parts front right caliper for the 2005+ C6 Corvette. 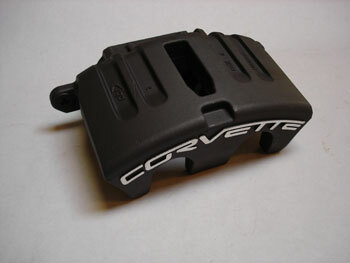 Matte black anodized finish with "CORVETTE" raised text. Caliper is compatible with C5 pads and abutments and has been redesigned for increased rigidity and longevity. C6 calipers are not available in red powdercoat. Lightweight, pressure cast aluminum PBR caliper with redesigned full width stiffening ribs for increased rigidity and service life.